This summer has seen a rush of online bingo promotions from the leading names in the iGaming industry, making it an ace time for those who love playing via laptop or mobile app. One of the latest bingo bonus offers comes in the shape of the Codebreaker bingo promotion, from Bet365 Bingo. This lucrative bonus is running until 27 August 2017 and gives gamers multiple chances to win! The offer is one of the latest in a line of online bingo bonus promotions currently available to online gamers. In addition to its potential for scooping some nice cash and free gaming prizes, Bet365 Bingo Codebreaker promotion is great fun. Once a player enters a qualifying bingo room, they must keep an eye on their cards and the weekly bingo code issued by the site. By matching the code to winning lines, players can win cash or free game rewards. The code for each week is reset every Monday. To win 12 free tickets to each of the ten weekly bingo gaming sessions, which take place in the VIP lounge on the following Tuesday at 7pm, players need to match one or more numbers from the special code. Scooping free games is always nice for bingo gamers, as it delivers freebie fun and the chance to win cash prizes without spending a penny. The VIP games at Bet365 are infamous for being full of banter to break the early week blues and send you into hump day with a swing in your step. Free games are great, but winning cash is what everyone really likes best. Matching two, three or four code numbers on a bingo card instantly delivers a cash prize. The more code numbers broken, the bigger the cash prize. Although the jackpot levels aren't likely to be huge, there are lots of chances to win every week. What's more, you can also win regular bingo prizes during the games. Another generous aspect of the Codebreaker promotion is that if you play enough games, you'll receive a reward – even if you don't break the code. For every £10 in placed bets, gamers receive 12 free tickets to all of the ten games within the Bet365 Party Hour, which takes place every Tuesday evening at 8pm inside the slick VIP Lounge. In essence, by simply spending £10 during each week of the promotion, you not only get chances to win some nice prizes, you also automatically get more value for money by virtue of those free-play credits. The competition for iGaming customers is great news for web bingo players, since it means brands have to offer some great incentives to choose them over a rival lounges. So it's no surprise that several big names, such as Paddy Power and now Bet365 have launched summer 2017 bingo bonus promotions. In the case of Bet365 and their Codebreaker bingo promotion, there's still plenty of time to enjoy the rewards before they expire at the end of August. What’s more, lucky gamers are unlikely to have to wait long before the next round of bingo bonus offers hits the internet come autumn but that doesn't mean you shouldn't scoop up this one before it's too late. 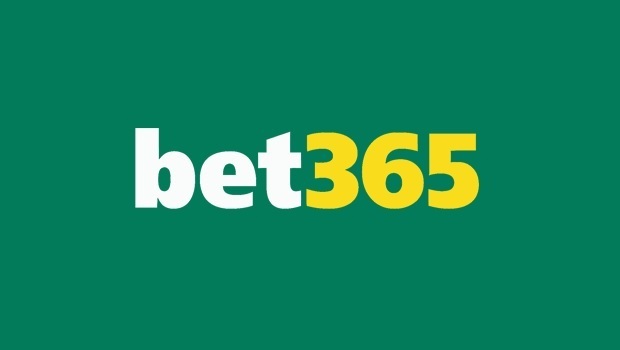 Simply visit Bet365 Bingo today to join the fun in the specific rooms and take a chance at some serious prizes!